Road to Rocketdyne heads up out of Runkle Canyon. The controversial Runkle Canyon Response Plan was submitted to DTSC by KB Home, which seeks to build 461 homes in the canyon. We’ve covered the reaction to this 37-page report prepared by Dade Moeller in ‘Simi, We Have a Problem’ and in the Ventura County Reporter newspaper. KB Home’s 6,579-word Response Plan has generated 26,707 words of public comment from the Radiation Rangers, Cleanup Rocketdyne.org, the Aerospace Cancer Museum of Education, Aerospace.org and EnviroReporter.com. These comments, concerns and questions do not include anticipated material from Dan Hirsch of the Committee to Bridge the Gap. While that would address a major concern of residents about the extent of strontium-90 contamination in Runkle Canyon, that is hardly the only issue addressed in the 77 pages of comments submitted to DTSC. This has raised alarm bells, especially from the Radiation Rangers. But is the department obligated to keep the public closely involved in the process to finalize a Response Plan for this 1,595-acre property that shows signs of radiological, chemical and heavy metal impacts? A look at what DTSC signed with the developer suggests it is. The April 14, 2008 DTSC-KB Home cleanup agreement says that “Public participation shall meet the requirements of HSC section 25395.96, including a DTSC public meeting if requested.” Certainly, the department filled that requirement last November at a DTSC Simi Valley meeting at city hall that we covered. A closer look at the California Health and Safety Code section 25395.96 suggests that the public may be being kept in the dark until the final decision has been made, which seems to go against the spirit of the law as defined in the actual code. (1) (A) An opportunity for the public, other agencies, and the host jurisdiction to participate in decisions regarding the response action, taking into consideration the nature of the community interest. 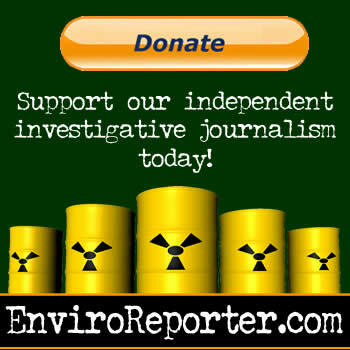 The nature of the community interest has been so high that a citizens group out of Simi Valley was formed in 2006 after reading our revelations in the Ventura County Reporter and Los Angeles CityBeat. The Radiation Rangers’ comments alone are over double the length of the Response Plan. Comments also include longtime Rocketdyne activists. The department shall consider any comments received prior to acting on the response plan. Methods for public participation may also include, but are not limited to, the use of factsheets, public notices, direct notification of interested parties, public meetings, and an opportunity to comment on the proposed response plan prior to approval. It is the intent of the Legislature that the public participation process established pursuant to this subdivision ensures full and robust participation of a community affected by this chapter. A “full and robust” accounting of DTSC’s response to public comments and questions, as well as our own, would mean a detailed accounting for all the issues presented in the comments. The myriad of radiological, chemical and heavy metal contamination issues at Runkle Canyon have been well-documented. 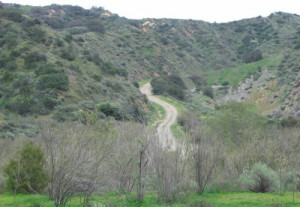 How DTSC responds to these issues will not only decide the future of this canyon, but also what happens as it directs the characterization and cleanup of the heavily-polluted Santa Susana Field Laboratory which sits uphill next to Runkle Canyon.